If you love coffee and freebies, you're going to love this! Get a FREE Starbucks K-Cup Sample from Starbucks! 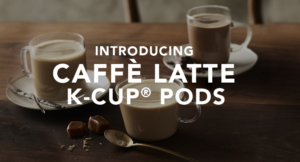 You'll be one of the first to taste the delicious flavor of new Caffè Latte K-Cup® pods. Your sample should arrive in 6–8 weeks.